Here is a simple Snowman and below are step by step instructions on how to create one for yourself. 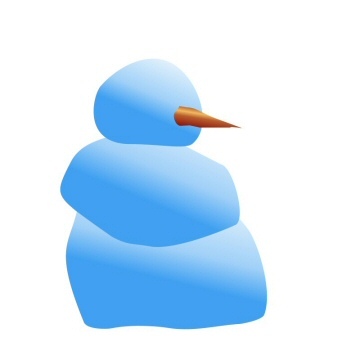 This snowman card can be done either using a computer paint programme or paper cut outs. 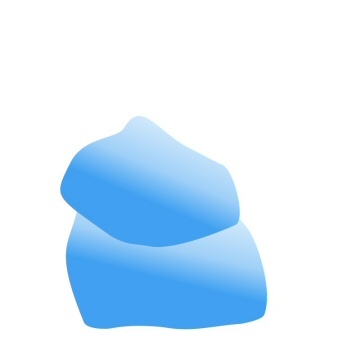 Starting with a blob. Very roughly round. The shape doesn’t really matter. 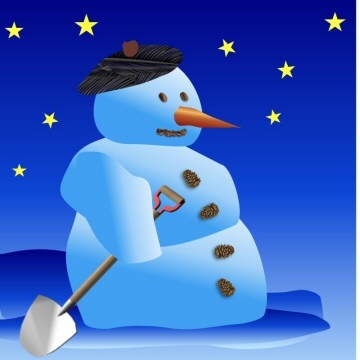 It is the colouring that makes this snowman look good. 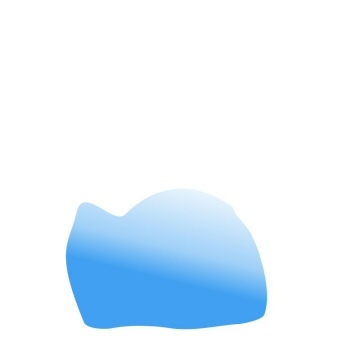 You need a smooth transition from deep blue in the botton left corner to very light blue top right. And once a third smaller blob is added for the head, you have a basic snowman. The carrot nose has a lighter stripe going along it, as if it has been caught by moonlight. I used coal for the eyes and pine cones for his coat buttons. 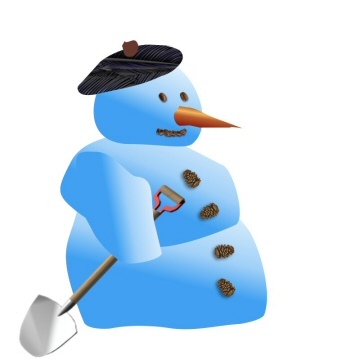 You could stop there, but I finally added an arm and spade to by snowman. I was just lucky that my paint program (Paint Shop Pro) had a spade already in it as a pre-set option. If you are creating this card using paper and paint then fill a big piece of paper with the blue gradient and cut out the blobs once it is dry. Then glue them onto a background that has a dark blue gradient that gets lighter as you go down the page.